What’s it like to work as a Visioncall Optometrist? Watch our video below to learn more about what we do and what it is like being part of our team. All our people are bound together by a single idea. It’s a big idea and it’s the beating heart of everything we do, which is to help others to see better and live better. We are committed to enabling people in their everyday lives through improved vision. From our Optician’s to our Customer Care Coordinator’s, we all work together to make this a reality for so many in need of care throughout the UK. 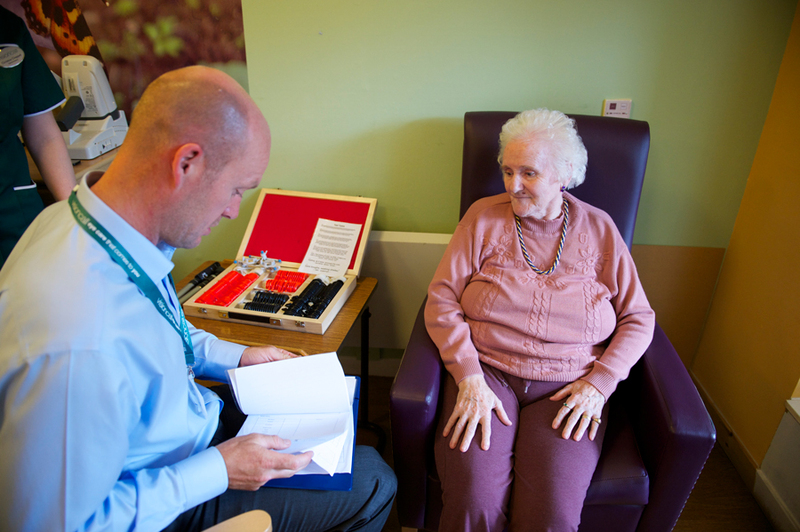 Whatever the reason, we provide vital eye care to people who need it, in the setting that’s most appropriate for them. Visioncall goes where our patients need us, providing them with expert care in their own homes. The people we assist every day are some of the most vulnerable and fragile people in our society. This can often mean they have mobility issues, mental disabilities or be living with dementia, or that they are elderly or housebound. We treat every patient as an individual with respect and dignity, ensuring we enable them to achieve a greater visual outcome and a better standard of life. Working with our great team, you’ll employ innovation with the transparency and integrity you’d expect of the industry leader, to ensure every patient is at the centre of everything we do. We like to think of ourselves as the best-kept secret in the industry, you won’t find us on the high street or focusing on selling frames, instead, we have a team of people who are dedicated to providing the best eye care in the comfort of their own homes.